A breakthrough medical development is bringing out the worst kind of people in the drug treatment industry. Patients in a vulnerable position are being lured by profiteers looking to exploit users for their own financial gain, and taking away the integrity of drug rehabilitation as a whole. Breakthrough medical devices are being developed to assist those with addiction issues to give patients another option for treating their dependency, from alcoholism to opioid addiction. 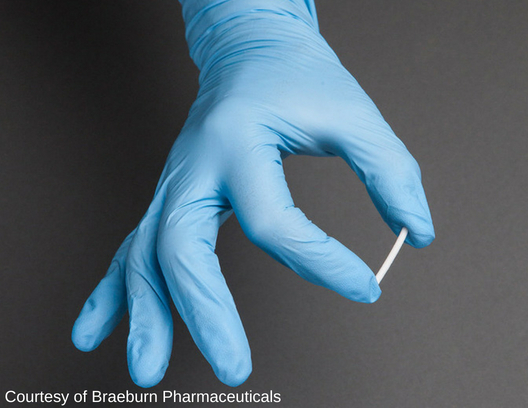 A tiny implant placed under the patient’s skin to help keep struggling addicts from missing doses or when the threat of relapse is just too strong for a patient to handle on their own. Buprenorphine implants are used to treat opioid addictions and block the users endorphins from an opioid high. The implant is to be replaced every 6 months to ensure long-term maintenance of withdrawals and cravings. Naltrexone implants are placed into the abdominal area for up to 2 months, and these devices are proven effective, almost 86% of people using the implant were able to refrain from use for the entire six-month trial run. Implants like Naltrexone or Buprenorphine maintain a constant stream of chemicals that will allow a patient to have a mind clear of withdrawals and obsessive cravings to focus on their future. Injectable drugs taken weekly or month-to-month, and implants, provide prospective options to those problems. The addict isn’t making an everyday choice about taking the anti-opioid, lowering the chances of regression though not completely wiping it out. Likewise, injections and implants can be undetectable, suggesting sobriety doesn’t include the stigma of going to a methadone center or popping pills every day. The makers claim this assists addicts keep jobs, look after their households and lead productive lives. But despite its life changing benefits, treatment centers and rehab facilities are using vulnerable patients to lure them in with payments for their pound of flesh. Centers will pay patients a thousand dollars knowing they can bill the insurance company thousands more using the patient’s insurance premiums. It’s a new form of patient brokering, something not unseen in California’s “Rehab Riveria” or Florida’s famous “Florida Shuffle”, area’s famous for their shameless treatment of addicts looking to find an honest living free of dependence from drugs and alcohol. Sadly, the addiction treatment industry is filled with dubious practices; these implants are just another way for blood sucking profiteers using addiction as their golden ticket. The idea of using drugs long term to manage addiction is somewhat looked down upon in the recovery community, but experts believe the decision to stay on maintenance medications should be up to the patient and his doctor, not the strangers in the local NA meeting hall. Despite the puritanical beliefs of some recovered addicts, experts believe making medications more available to patients will give them the push into the clear mindset they need to fully recover. Industry leaders predict opioid addiction medications will multiply in the coming future, and ethics regarding these treatments should be upheld to protect the addicts who have yet to reach out for help.